Today I want to write about a strange bird with very weird eating habits, the yellow-billed oxpecker. These beautiful birds grow up to 20 cm long. Yellow-billed oxpeckers get their name from their habit of landing on large mammals, such as buffalo, wildebeest, antelopes and cattle, to eat the insects and ticks that live on them. They also like eating blood and will use their sharp bills to keep wounds open so that they can feed. There are only two species of oxpeckers and they are related to starlings and mynas. At breeding time, the female lays 2-3 eggs in a hole in a tree. They use hair plucked from their host mammals to line their nests. Yellow-billed oxpeckers are quite common and can be found throughout the sub-Saharan region of Africa from Senegal to Sudan. 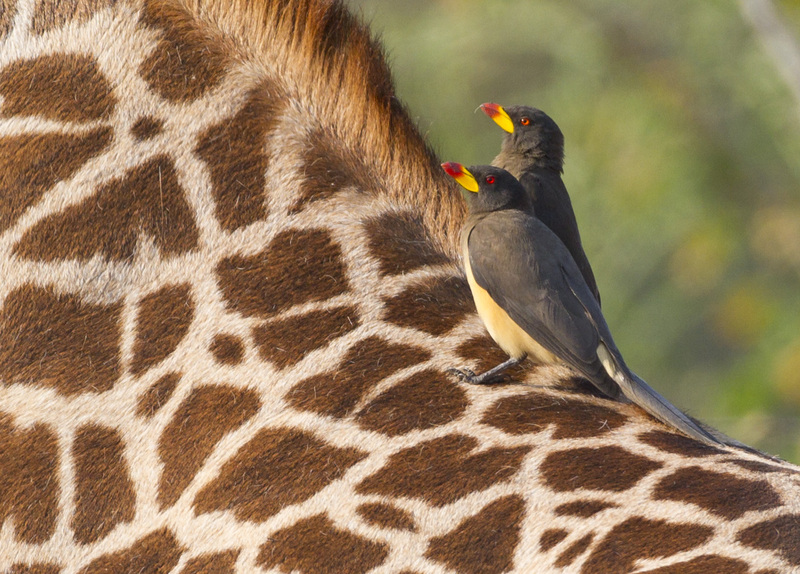 Are there any other interesting facts that you would like to share about yellow-billed oxpeckers?